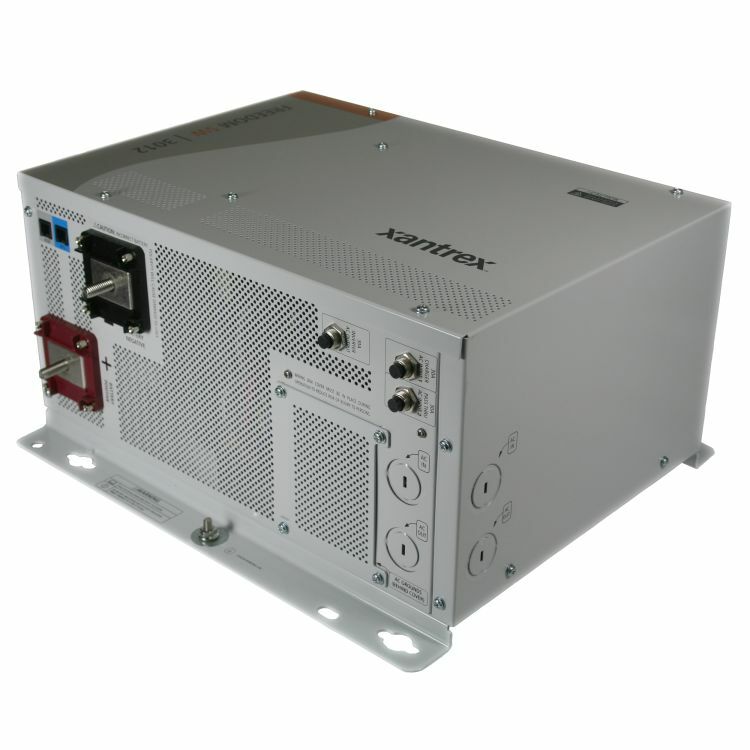 The Xantrex Freedom SW 3012 Converts 12VDC to 120 VAC, and has an 150-amp 12v charger with two leg 30-amp Built-In AC Transfer Relays. The NEW GENERATION Freedom SW 3012 is a highly sophisticated and advanced inverter / charger. It is capable of a continuous output power rating of 3000 watts, with a 5 second surge rating of 6000 Watts or 60 Amps. It comes out of the box with a integrated 150 Amp charger. 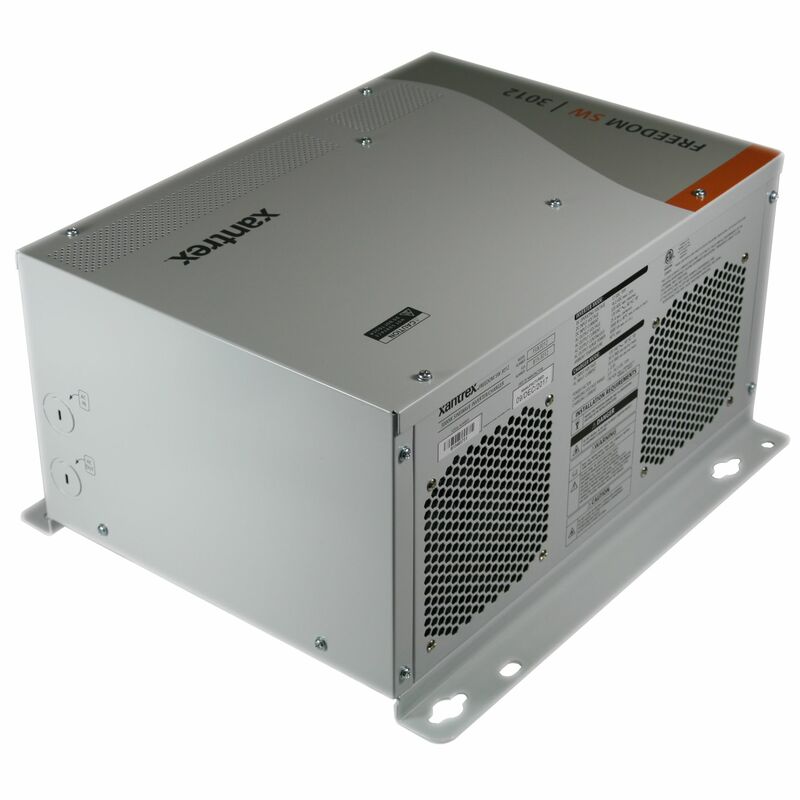 Purchased with the Xantrex Xanbus Remote Panel (sold separately) the packed features of the inverter are truly unlocked. Features like “Generator Support Mode” which enables the Freedom SW to assist a generator when AC loads exceed the generator’s capacity. They are also stackable for extra power, and with the ComBox accessory (sold-separately) data logs and system control can be pushed to your tablet or phone! 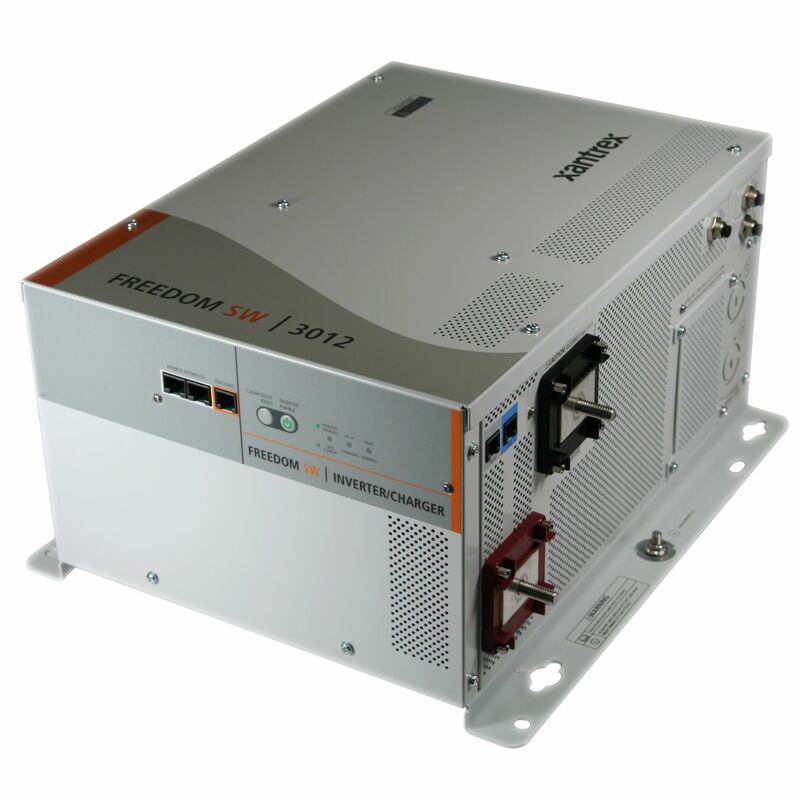 With a powerful long duration 2x surge and other industry leading features, the Freedom SW series will handle most RV power requirement. This inverter has a wide full output temperature range! Having this range enables outputting to its full capacity in temperatures ranging from -4°F to 104°F, which cover temperature ranges found in most climate. The Freedom 3012 has a two Built in 30 Amp AC Transfer Relay legs, which allows an AC input from shore or generator power. Another feature of the dual AC inputs allows for split phase inputs up to 30 Amps per line. When the inverter senses outside AC Power it transfers the load from the inverter side to the source of the incoming AC shore or generator power. Once the AC load has been transferred to the incoming AC source the on-board built-in charger found in the inverter is designed to charge the inverter's battery pack. With the Xanbus Remote Panel (sold separately) the Built-In on-board charger is a versatile smart 12v 150-amp charger that can charge a battery pack ranging from 50AH to 2000 AH. The charger can be programed with pre-programmed settings for Flooded, AGM, and GEL batteries. You may also Custom program the charger with custom settings enabling you to fine tune the charging profile to your specific batteries. This option makes the unit ideal for RV, Commercial Truck, or off-grid use. Do you own the 815-3012? Please, tell us what you think about it. It helps us provide you with better products. Please note that it may take up to 72 hours for your review to appear.